Our anchor shackles are roughly the same strength as proof coil chain of the same size. 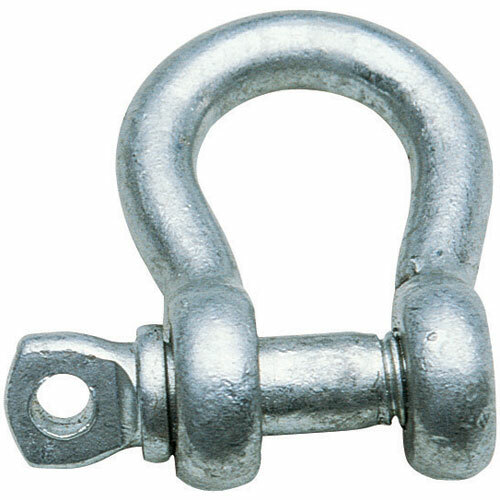 To prevent accidental opening, when you attach your anchor to its rode with a West Marine Galvanized Steel Screw Pin Anchor Shackle always seize the shackle pin with safety wire. For increased strength, use one size larger than the chain, especially with High-Test chain (the pins will still fit).